A couple of articles in today's Mirror exemplifies the struggle newspapers have to fill their politics sections while the parliaments are in recess. It's not that there aren't topics that could be discussed, it is just that these either don't fit the newspapers' agenda or they consider them to lack entertainment value. As the light fades Jeremy takes the short drive to see the prehistoric ­Callanish standing stones, the Hebrides’ version of Stonehenge. Obviously, the article wasn't written with a Scottish readership in mind. We then hear about Anna's ringing endorsement of the Labour leader after meeting him: "He seems okay." For good measure the accompanying photo shows a picture of Jeremy, not of the "large" crowd. Meanwhile, the Mirror also covers a story which suggests that Theresa May has effectively announced her resignation, albeit quite a long time in advance. According to the Mirror Mrs May will step down as PM on August 30th, 2019, as she wants to see Brexit completed before she goes. Cynics might say she is trying to hold on till then so her tenure as PM will be a few weeks longer than the equally lacklustre Gordon Brown. Nope, can't see it myself. Apparently, the PM is entertaining her MPs, 15 at a time, at her official country retreat, Chequers, to persuade them not to plot a leadership coup. Which photo would the Mirror use to illustrate this part of the story? It just had to be this one. What kind of entertaining this is we don't know. 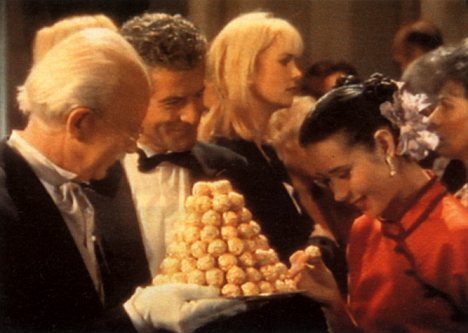 So, there we have it: Jeremy is recapturing Scotland and Theresa is handing round the Ferrero Rocher at Chequers while the UK (including Scotland - sigh!) is going to hell in a handcart. The Scottish Parliament returns on Monday September 4th and Westminster on the following day. Posted by: Editor in Brexit, Humour, Labour, Tory Aug. 27, 2017, 9:02 p.m.
"So, there we have it: Jeremy is recapturing Scotland and Theresa is handing round the Ferrero Rocher at Chequers while the UK (including Scotland - sigh!) is going to hell in a handcart." Fortunately, I have neither been a fan of Ferrero Rocher (a spherical chocolate - Rocher is French for boulder & Ferrero after a grotto in Lourdes. Place of origin = Italy), but I am of the EU.......... nor Jeremy's attempts to recapture Scotland. Did KeZ forget to brief J C, that Scotland has had its own Legal system & Laws since 1707<><>? I didn't know that about Ferrero Rocher, which just goes to show every day is a school day. I'm not that fussed about the chocolates either but I would have been tempted to pick one from the bottom of the pyramid just to see what happened. I don't think JC will be re-capturing Scotland because I suspect his popularity (as far as it goes in Scotland) will have waned by the time the next election comes around. I saw that comment about Brexit/legal systems this morning and thought that some people don't stray that far from the Westminster bubble.